It is soldered into the line of the speed signal. An adjustment is no longer necessary. 12 volt square wave output signal. IMPORTANT NOTE: changed from delivery date 16.04.2005 Ausgangssinal 12 volt rectangle. Thus, the converter works in the Opel Vectra, Opel, Corsa, Calibra tachometer. Not suitable for connection to an ignition coil terminal 1! 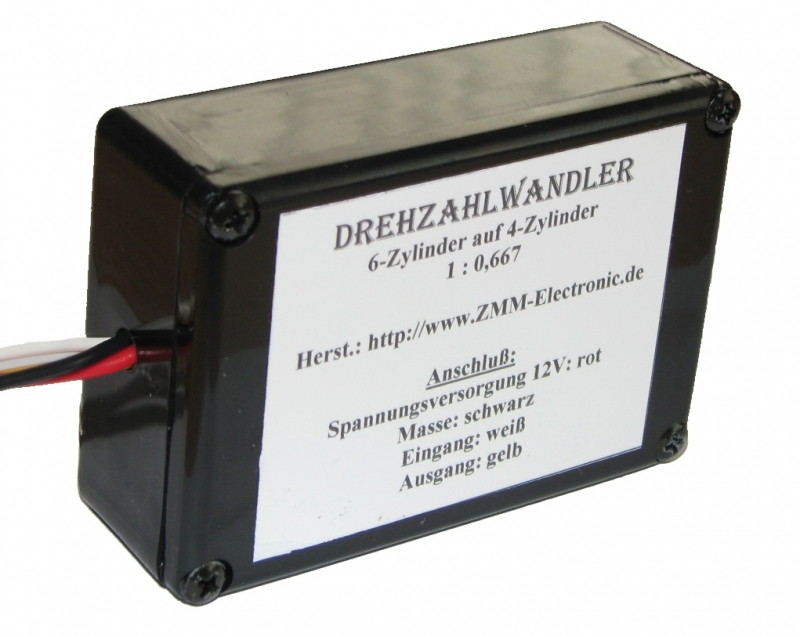 In this case, a Zündsignalwandler must be preceded by the high voltage portions of the siganl limited. To connect a tachometer in a six-cylinder engine, you need our digital frequency converter. ATTENTION: When used for a tachometer which was originally connected to an ignition coil terminal 1 (eg: Golfi or golf II) you will need an additional Zündsignalsimulator! Driver for the connection of a conventional tachometer (Ingition coil connector) to a square wave signal.